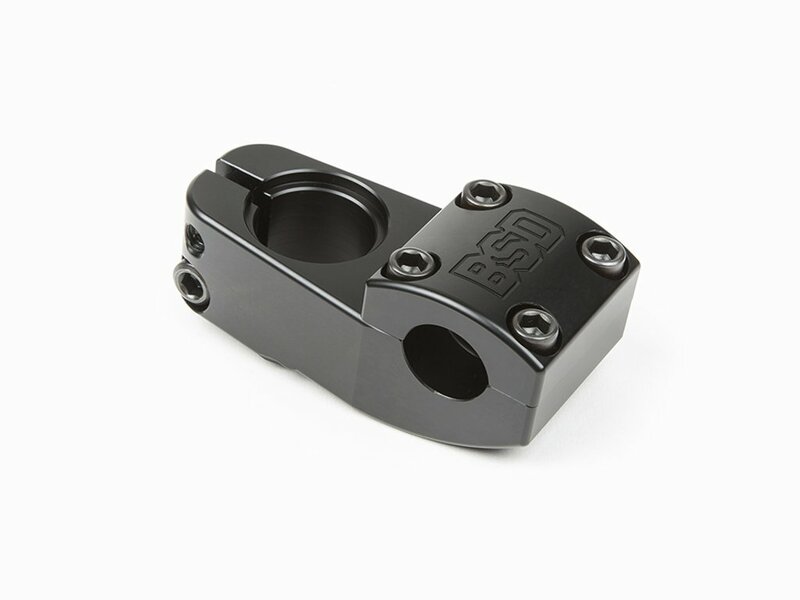 This BSD "Stacked" Topload Stem is made of CNC machined 6061-T6 aluminum and allows you a high handlebar setup. 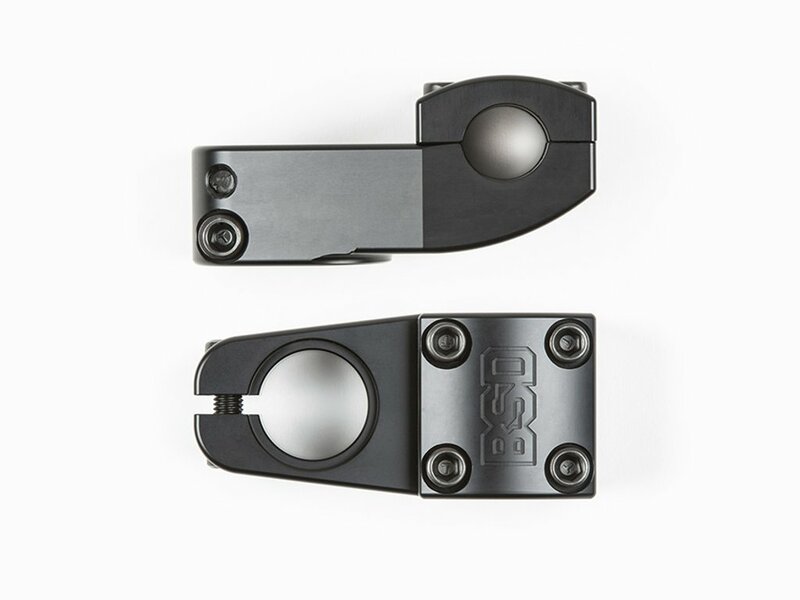 As a modern toploader stem this BSD "Stacked" Topload Stem provides a slightly wider design to to keep state the occurring leverages of high and wide BMX handlebars. Massive allen screws and the solid and precise manufacturing quality offer you here a very high quality allround stem with 50mm reach which provides best clamping characteristics on steerer and for your handlebar.